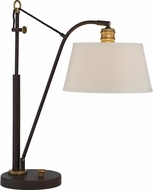 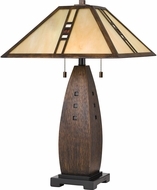 Quoizel Lighting table lamps are exquisite and a perfect way to brighten up your work table, dry sink, or desk. 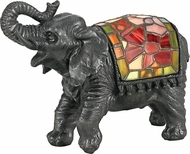 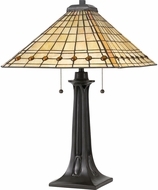 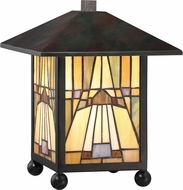 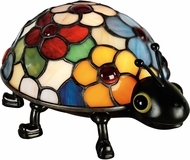 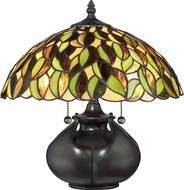 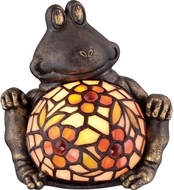 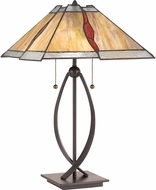 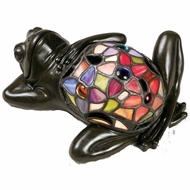 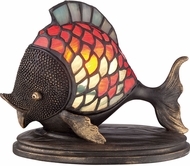 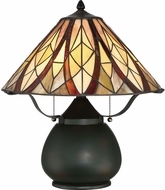 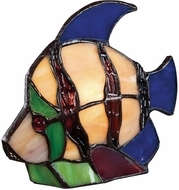 This lighting selection features traditional Tiffany, mosaic, maple leaf, pomez, plus more traditional lighting styles, as well as blown art glass and even brilliant desk lamps. 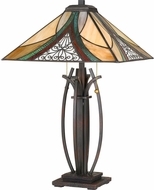 Available in a wide range of glass and finish types, these table lamps are timeless in their unique quality and design.